Most random place I’ve visited in a long while: Mobile, Alabama. When I first found out that I got to go I was neutral in my excitement. And then I started researching; and then I got there; and then I fell in love. 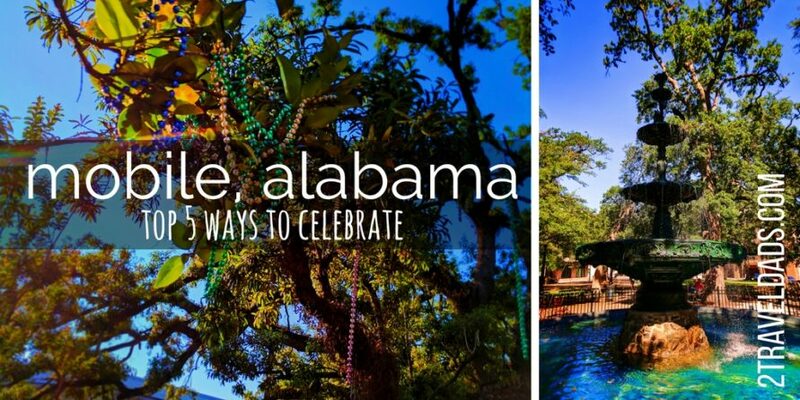 Mobile, Alabama’s theme for the city is “Born to Celebrate” and really, that’s the vibe everywhere and I love it. 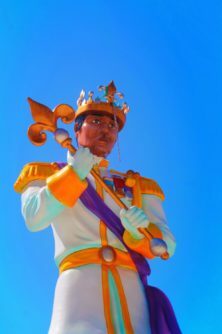 Being the birthplace of Mardi Gras in the USA and founded by one of the brothers who also founded New Orleans, it’s already in position to be cool. You don’t hear a lot about Mobile as a destination or a party city, but it is. It’s not a party city like Las Vegas or the Daytona Beach of the 90s, but it’s a place full of fun and pride. 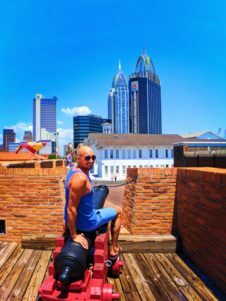 And it’s delightfully gay which added to how welcome I felt and how much I loved Mobile, Alabama. Anyways, here’s the scoop on Mobile and why I can’t wait to return with my whole family. Mobile is at the very south of the Great State of Alabama on the Gulf of Mexico. It’s located where five different rivers meet. 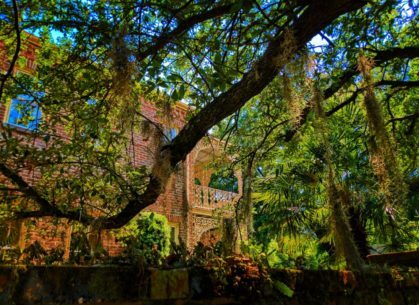 It’s surrounded by lush live oak forests and meandering waterways. It’s a short drive to the beaches of the Gulf. It’s a pocket of awesome in a place thought of as the Deep South. Mobile has its own airport (MOB) and has two major interstates feeding into it. 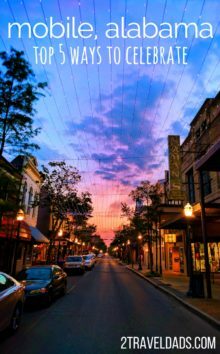 You can arrive in Mobile, Alabama via cruise ship or private charter. 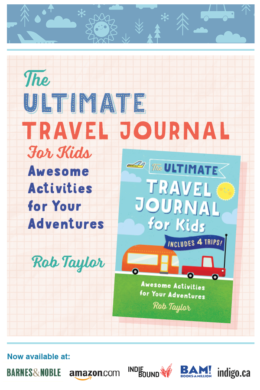 Basically, what’s stopping you from getting there and having an incredible time? Mobile was the first city in the south to elect an African-American mayor with a white majority vote. Mobile was the only major city in the South that didn’t have a civil rights march due to several very active public groups that worked to change local laws, including desegregating schools, prior to government mandate. They’ve had protests, but weren’t at the forefront of marches in the 60s. Mobile has Gay Pride celebrations with lots of community involvement in addition to being involved in Mardi Gras activities. It’s the most progressive city I’ve been to south of the Mason-Dixon line. Love it! And Mobile, Alabama is an old city; it’s older than New Orleans. 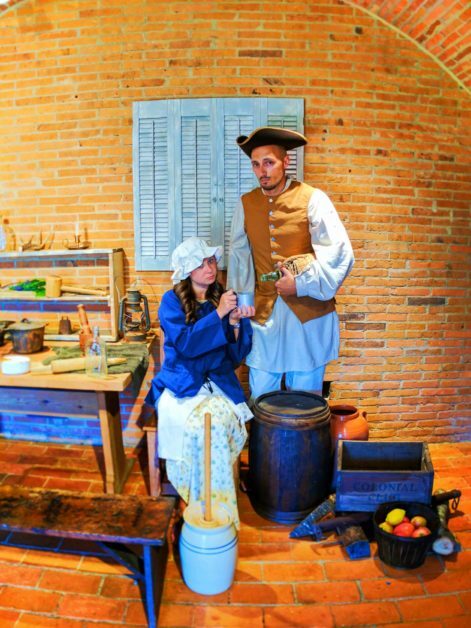 Founded in 1702 Mobile has that same French influence you’ll see in NOLA, but it’s had it for longer. And here’s a fun fact: at one point Alabama was actually its own country (for a few days), and if you know where to look you can see references to it throughout Mobile. And then there’s Mardi Gras… We’ll save that for last. 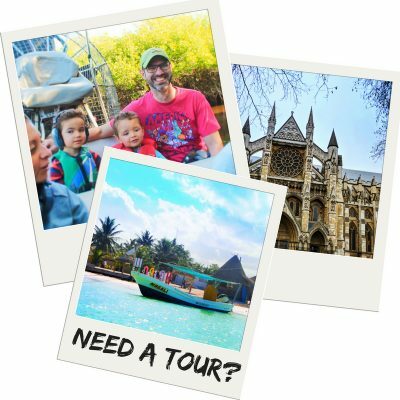 Every city you’ll ever visit has a few super awesome things that will keep visitors coming back or talking about for a long time. 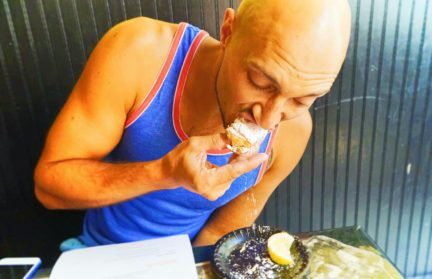 Mobile is for sure one of those places, but we’ll keep it short and sweet… like a beignet. Seattle, San Francisco, Portland… all three are great cities made of beautiful and fascinating neighborhoods. And so is Mobile!! Downtown Mobile, Alabama is really nice. The buildings aren’t too tall and there are countless sandwich and coffee shops giving it a quiet, small city feeling. And downtown is right next to Dauphin Street, which is the main drag and is highly entertaining. 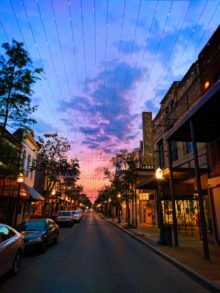 The people of Mobile have been exceptionally active in restoring their city since the 1960s so the whole area west of the financial district is charming, historic and full of fun. 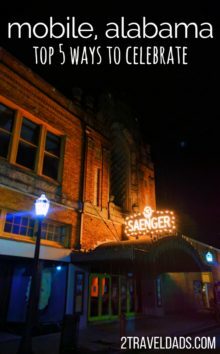 At night, it’s lit up with twinkling lights, neon, marquees, glowing bar lights…. 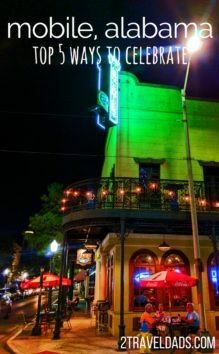 Strolling through downtown Mobile at night is a must. 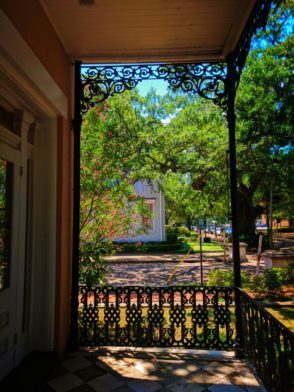 Being such an old city, Mobile has some incredible residential neighborhoods including seven historic districts. 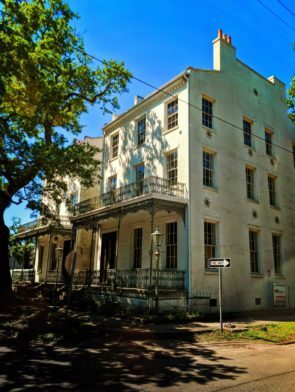 Just north of the downtown area is the DeTonti Square Historic District. Some of the homes here are so old and ornate that they’ve each been under renovation for… well, forever. 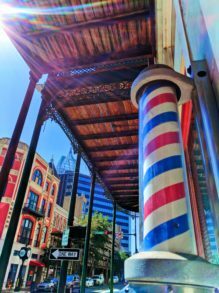 Walking through the neighborhood you’ll find a combination of Gulf Cottages, Federal style and shotgun houses. Each of the homes as it’s renovated is held to strict standard for color and outdoor features to keep the district as historically accurate as possible. 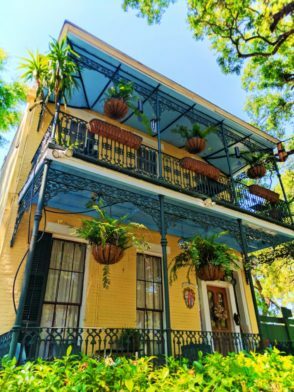 A homeowner can pop into the paint store in Mobile, say where they live, and leave with a color palate for the exterior of their house that is historically accurate and perfect. 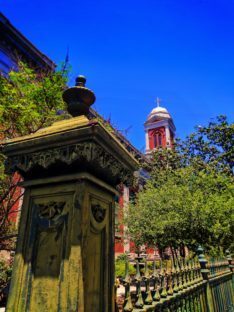 Tip: as you’re exploring the neighborhoods of Mobile, Alabama look at the historic markers and coats of arms on the restored houses. You’ll learn all kinds of fun facts about the city and be able to impress all your friends when you bring them back! 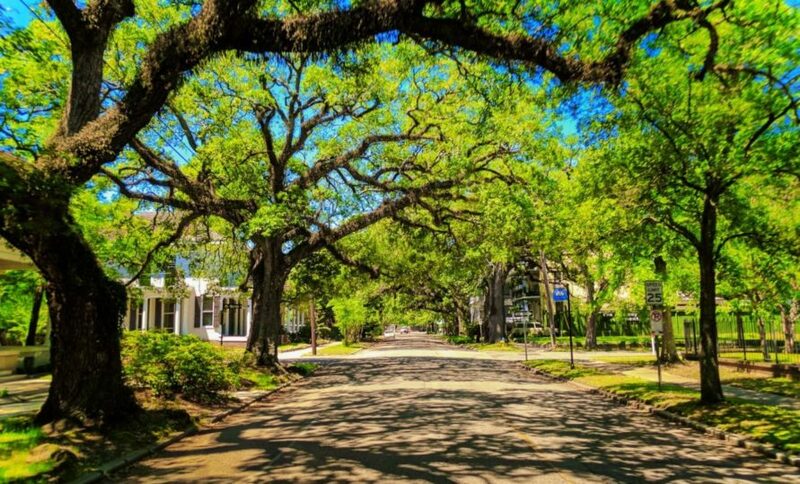 Another beautiful neighborhood to wander through is the Oakleigh Garden Historic District. Here, in addition to the beautiful and interesting homes, you’ll find some of the most impressive live oaks I’ve seen anywhere in the South. 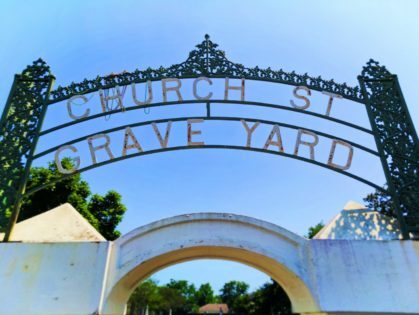 And wandering the streets below the oaks and past the shotgun houses you’ll eventually get to the Church Street Graveyard. It’s right by the old library so you can’t miss it. 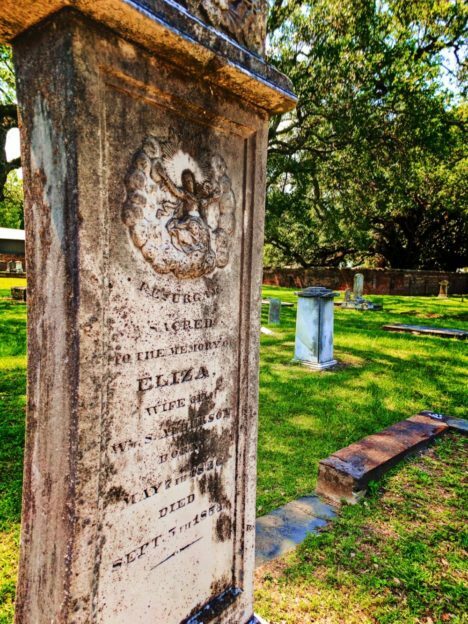 This beautiful old cemetery has some of the oldest graves in Mobile, Alabama, including that of Joe Cain, the re-founder of Mardi Gras. 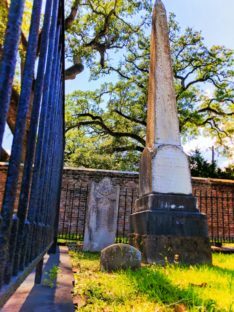 Photo tip: photographing the live oak neighborhoods and cemeteries is best in the LATE afternoon. The filtered light makes for interesting shots with much softer shadows. The last neighborhood that I wanted to mention is the Church Street East Historic District. This is actually where I stayed, at the Malaga Inn, and I loved it. 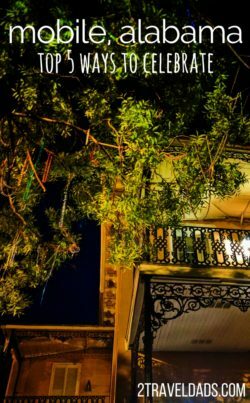 In the morning I could walk past wrought iron railings and find Mardi Gras beads in the bushes. At night, there were gas lamps. A few blocks away was Fort Conde and the Plaza for Mardi Gras events. 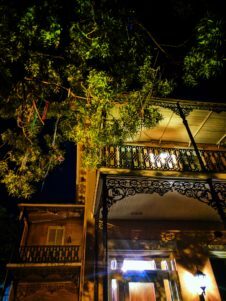 The historic charm is there along with bustling activity. If you’re not staying in this neighborhood, as least pay it a visit. Where to begin?! Let’s just say that between blue crab legs and beignet sandwiches I was never hungry or bored with food. Here’s just a taste of what I found and no doubt anybody else could discover even more yum. Here are three tasty beyond tasty ideas for breakfast, lunch, and dinner. 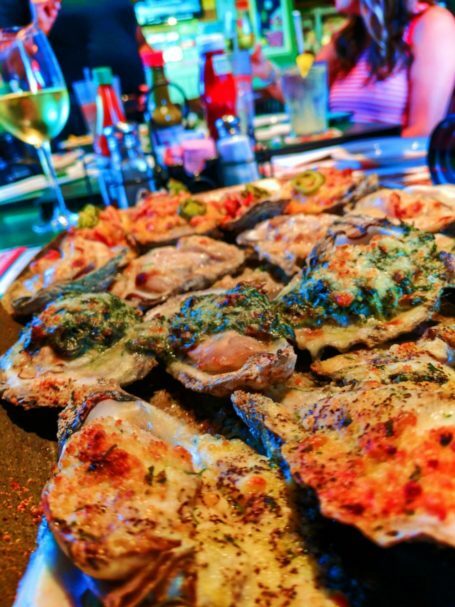 Wintzell’s Oyster House – anything with the tiny crab legs or the shrimp in ANY of their sauces and styles. And their Oysters Monterey were my favorite. Panini Pete’s – so the beignets are amazing and much more dense and, dare I say it, more delicious than other’s I’ve add throughout the South. And they’ll make you a bacon and egg sandwich on a beignet! 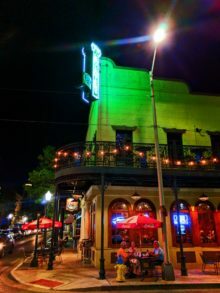 Noble South – this is where I learned the Southern cooking isn’t all butter and butter. Even though there were some beautiful meat dishes being served, my vegetarian collection of courses was an unforgettable surprise. 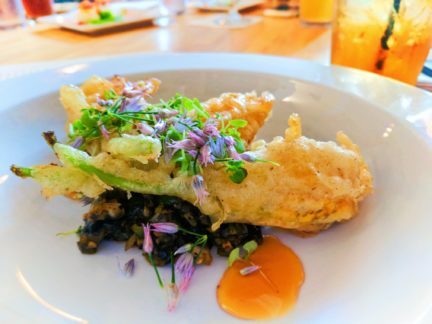 Especially the squash blossoms. Perfect. I had all kinds of other great food, but these three hot spots rang the bell for me. Each was delicious and totally unique to dining I’d find anywhere in the Pacific Northwest. OMG, you don’t even have to try to do this. I met so many great people just walking around Mobile. Some of my favorite characters included I got to talk to were actually the many different servers in the restaurants I ate at. Ms Pinky at Wintzell’s Oyster House had a new phrase for how delicious each dish was. 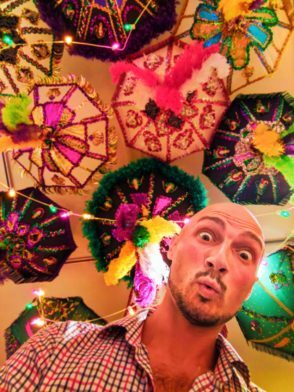 The gentleman at the Mardi Gras museum had amazing stories about festivities through the years and strength and presence of the LGBT population of Mobile, Alabama. One of the four different servers I had when dining alone at a sidewalk cafe didn’t want to talk about Mobile, but about my kids and all the weird things about being a parent. And then Spring, our breakfast server one day. She was a delight. 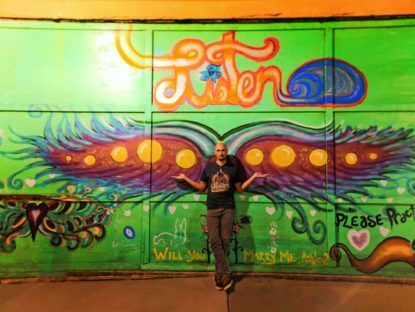 We chatted about food and Mobile and Mardi Gras, and then art. 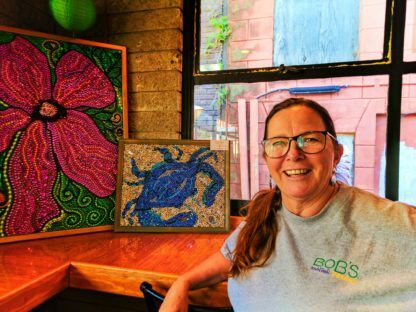 She’s an artist whose medium is beads. 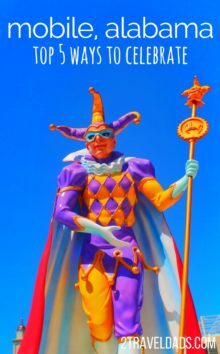 How perfect for being a Mobilian from the birthplace of Mardi Gras. Tip: take a look at Mardi Gras bead art. It has got to be my new favorite medium and motif. So intricate and takes much more patience than I’ll ever have. 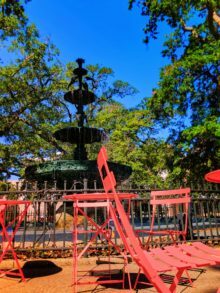 Someday when I’m bored and just want to gab, I’m going to book a plane ticket to Mobile and just go cafe hopping inviting random people to sit with me and drink iced tea. Or sweet tea. We got to take the kids on a airboat ride through the mangroves of the Everglades and it was awesome! Here is Mobile I had another opportunity to do an airboat ride and it was just as fun but totally different. We headed just out of town to the Spanish Fort area where we met Captain Geoff. 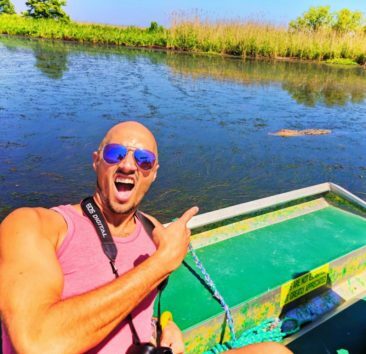 In addition to being an airboat captain, he’s also a naturalist, so boom, sold. 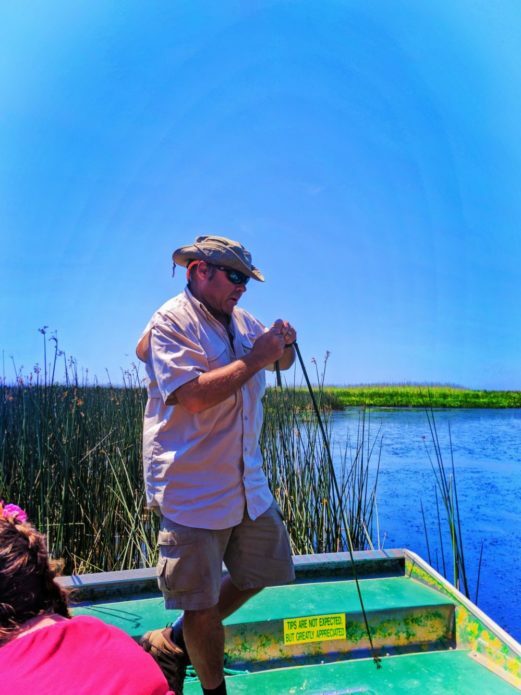 We had three really unique ecotours in Florida and doing the airboat with Captain Geoff was equally thoughtful and educational. Between the care he showed in his boating and the knowledge he imparted with great intent, Airboat Express is definitely in the top ecotours I’ve been a part of (including some amazing ones in Montana and Alaska). 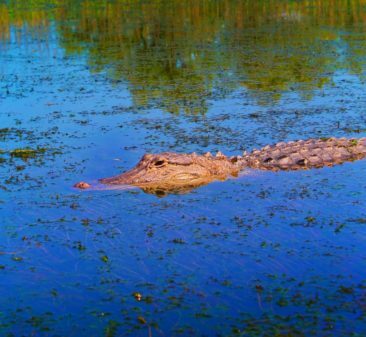 The highlight of the Mobile Delta airboat tour was definitely the wildlife. There were all kinds of fascinating birds and really unique vegetation, but this was the first ecotour I’d done that took us past alligator dens and nurseries. 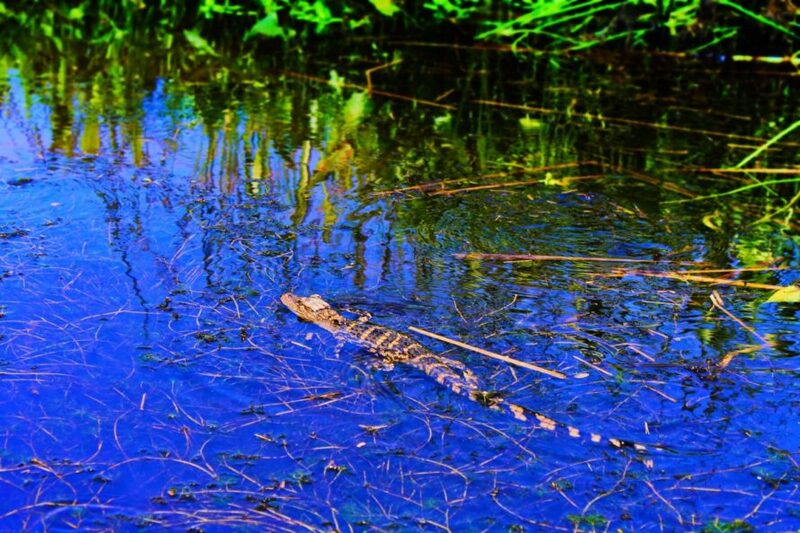 We saw some enormous gators, yes, but getting to see baby alligators swimming or crawling all over each other was a real treat. Tip: if you have kids with you for an airboat tour, be sure they have sunglasses. This helps keep the wind out of their eyes and they’ll have a much more enjoyable experience. 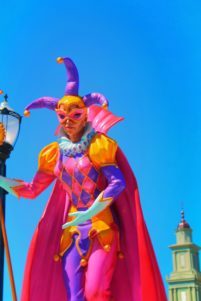 As I’ve mentioned several times Mobile, Alabama is the birthplace of Mardi Gras. The city really is born to celebrate like their motto says. 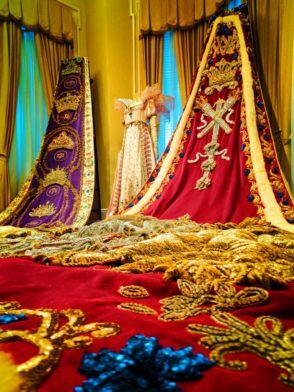 So, for starters, the Mardi Gras museum is pretty darn cool and interesting. And weird. If you happened into it without any preface you might think you stumbled into the Inauguration Gown gallery at the Smithsonian…but full of drag costumes. I’ve never seen such lavish regalia. So much embroidery and beadwork. And then there are the strands of beads. Everywhere. 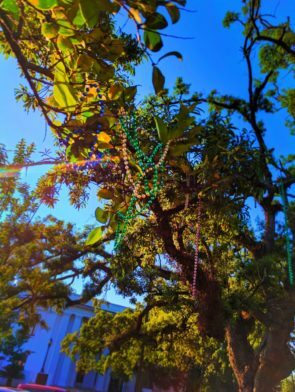 On my first night in Mobile I went for a walk and my eyes kept darting around to find beads in the trees and on lamp posts left over from the recent Mardi Gras celebrations. I went on a tour driving around the many historic neighborhoods and sights and was given my own strand of Mardi Gras beads. They’re now sparkling somewhere in Mobile, reminding somebody else that there’s another celebration around the corner. 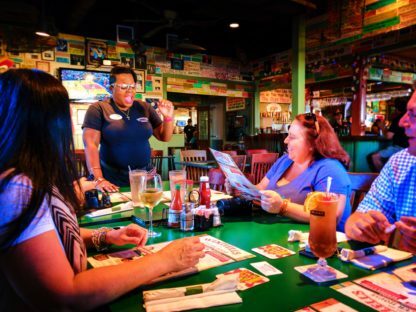 When you spend your time talking with the locals and gabbing it up with your server you’ll see that everything is related to Mardi Gras. Seriously, you can’t escape it and that’s just fine. Seeing how excited and how dedicated each person is to EVERYTHING Mardi Gras is bizarre and inspiring. It is a complete sense of community. 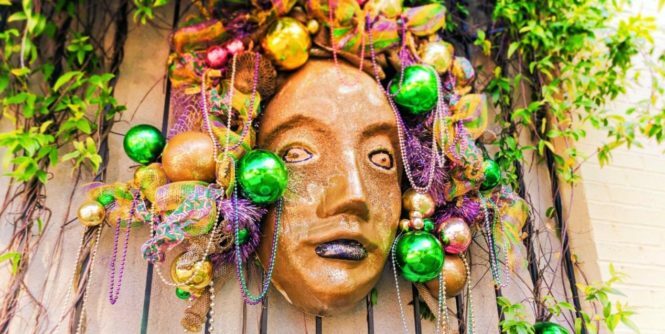 Hopefully we’ll get to experience Mardi Gras in Mobile, Alabama in the next few years. It’ll be amazing. 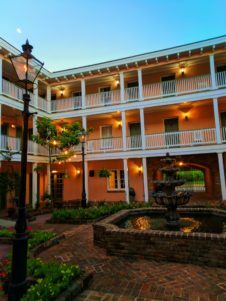 So I know Mobile might not have been on your radar before today, but doesn’t it sound fantastic and aren’t you ready to plan a trip? I can’t wait to return with my family and have an awesome time making Mardi Gras memories and more. 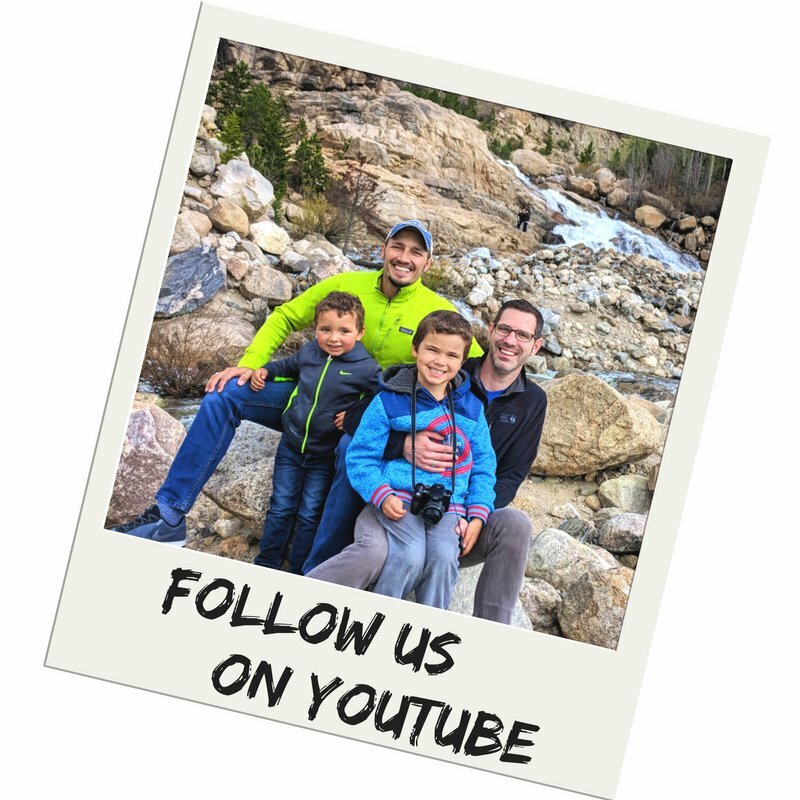 Want to pin it for your own travel planning to Mobile or the South in general? Go for it!! !